Jared Goldberg competes during an alpine ski, men's World Cup downhill, in Val Gardena, Italy on Saturday. 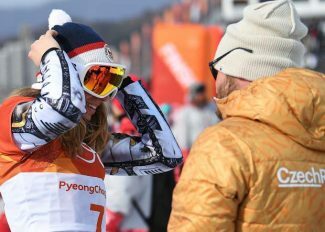 SELVA DI VAL GARDENA, Italy — With the Pyeongchang Olympics less than two months away, a pair of young skiers who consider themselves “brothers” shook up the struggling U.S. downhill team on Saturday. Jared Goldberg finished a career-best ninth in the Saslong Classic downhill and teammate Bryce Bennett wasn’t far behind in 11th. Goldberg recorded the speed squad’s first top-10 result of the season after six super-G and downhill races. Team captain Steven Nyman, a three-time winner on the Saslong who is working his way back from knee surgery, couldn’t have been prouder. Earlier this week, Goldberg sought out advice from Nyman. The next day, Goldberg led the opening training run. A training agreement with the Norwegian team also helped. It meant that Goldberg got to hear a course report from race winner Aksel Lund Svindal. 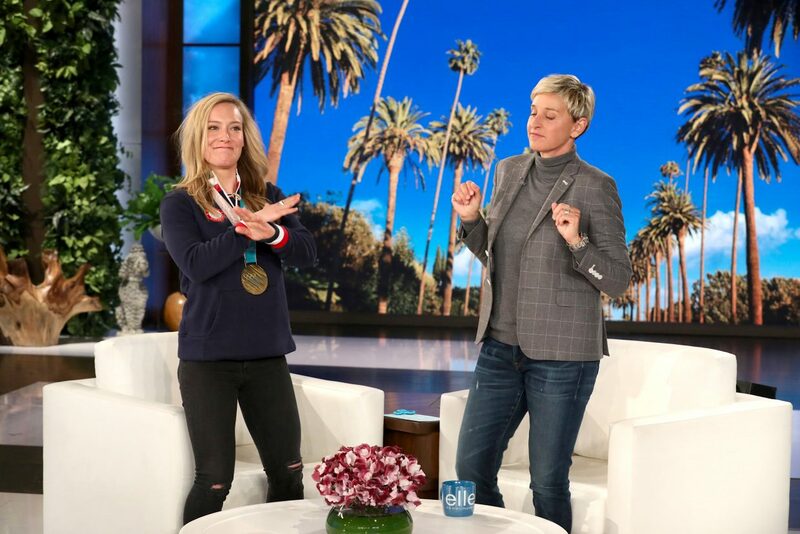 At 26, Goldberg has always shown promise inbetween an Achilles’ heel injury and some back problems — like when he had the third-fastest run in the downhill portion of the combined at the 2015 world championships in Beaver Creek, Colorado. He grew more confident when he won a FIS race ahead of a world-class field at Copper Mountain, Colorado, last month. Goldberg often rooms with Bennett. Goldberg was born in Boston and learned to ski in Killington, Vermont, before his family moved to Utah when he was four. 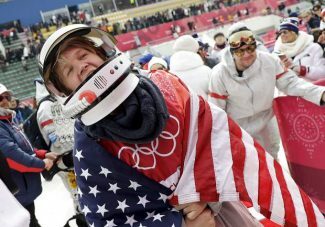 Bennett is part of a large contingent of U.S. skiers from Squaw Valley, California. At 6-foot-7 (2 meters), Bennett has the long limbs to absorb the myriad bumps and terrain on the technical ciaslat section of the Saslong. But he needs to improve his technique on the flats. 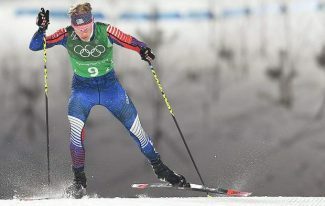 “It’s tough for me to stay aerodynamic through that gliding terrain,” Bennett said. “That’s a piece of the puzzle I’m going to have to figure out for the future. 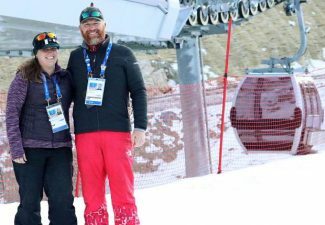 Meanwhile, it was a tough day for the squad’s veterans as Travis Ganong, a two-time winner on the circuit, finished 39th, and two-time Olympic super-G medalist Andrew Weibrecht sat out with a bothersome knee. 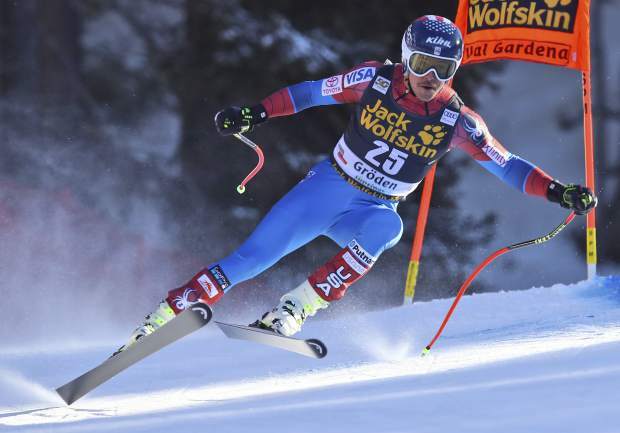 Up next, Ted Ligety will be expected to lead the team on Sunday and Monday in a giant slalom and parallel GS in Alta Badia, where he has won twice.